Home > The Canticle of the Black Madonna. Photo: Jenny Graham. 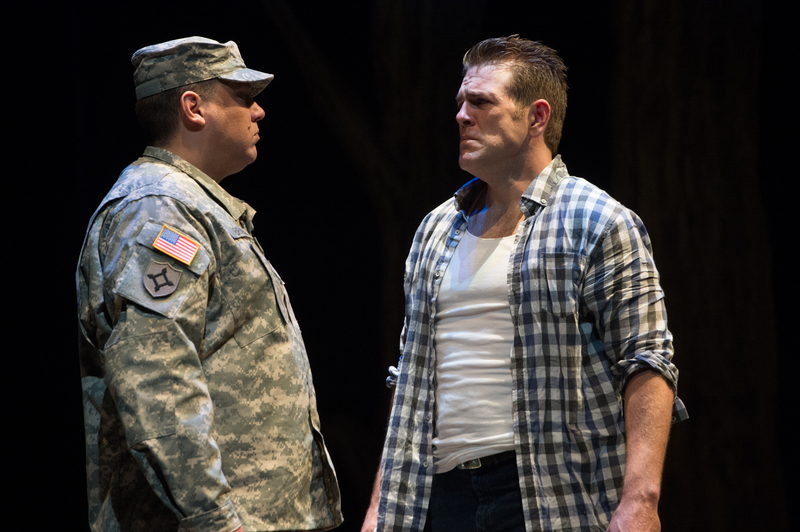 Frmr Oregon National Guardsman SFC Sean Davis as Sgt Bryan and Michael Mayes as Adam. Photo: Jenny Graham/Anima Mundi Productions.